Reaching heights of 55ft (16.8m) 5 floors with ease our gutter vacuum makes light work of in grown vegetation, moss build up as well as sludge and other debris. We are also fully equipped with CCTV monitoring to ensure spotless cleaning, we can not only provide a gutter check prior to any cleaning taking place but we can also provide video footage and stills of your gutters after the works have been carried out. For hard to reach areas or areas of your property that are over 55ft (16.8m) 5 floors we also have access to a cherry picker. With our gutter equipment we are also able to inspect your guttering, hoppers and downpipes for any damage, leaks or blockages that may impact on their ability to divert water away from your property. Blocked gutters or downpipes can cause severe problems if not cleared and may lead to water leaking into your building and causing structural damage. 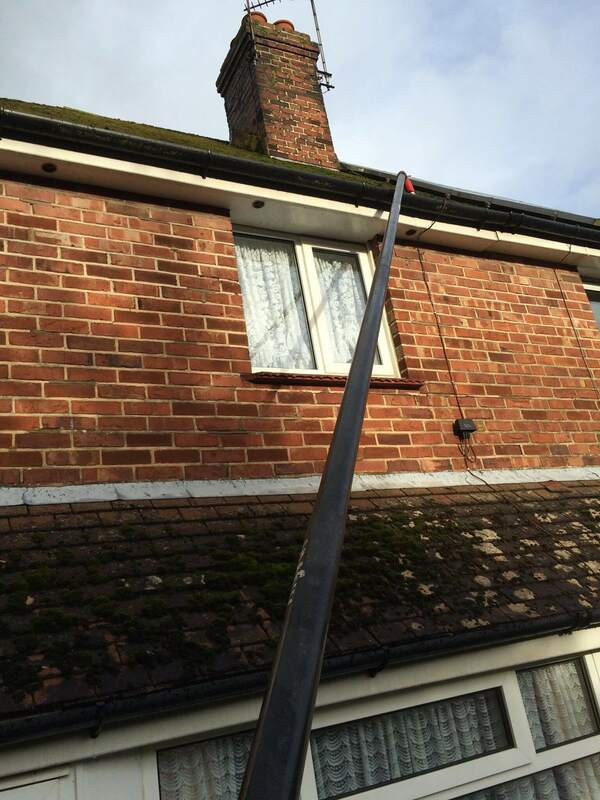 We recommend as standard all of our customers to have their gutters cleared every 12 months and we provide a free no obligation reminder to all customers which will include an email and phone call, but if at any time you notice seedlings, vegetation or leaking gutters please book in for a gutter check.